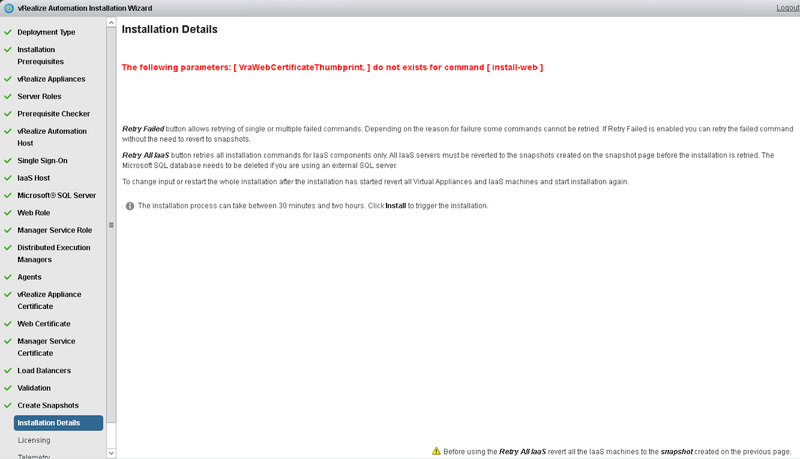 This week my adventures lead me to the implementation of vRealize Automation 7.3 for one of my clients. It has been some time I last install vRA, so taking a look at Installation Guide sounded me the right thing to do before I start anything, soon I realized I new step “Activate FQDN for RabbitMQ Before Installation” (pg 36) , as a good boy I enabled it as stated and started the installation through the Wizard. OK, I will stop here and save you from having to read it all. DO NOT, I repeat, DO NOT perform any activity on the appliances before running the installation, as it could cause you installation issues which would be hard to troubleshoot later. 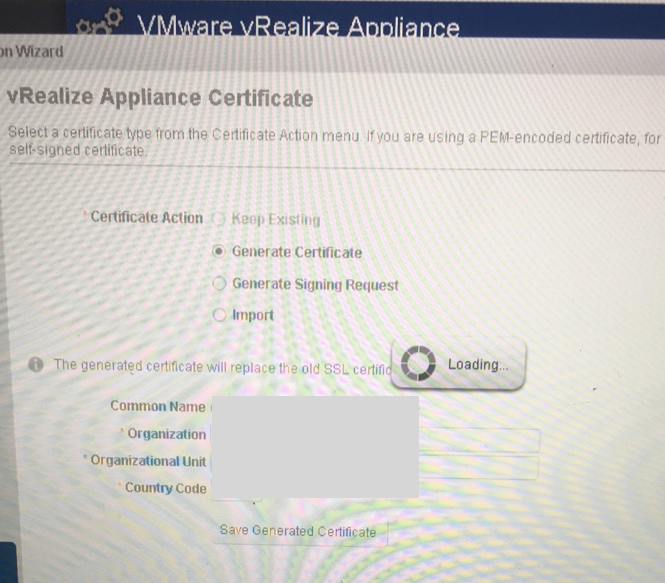 The first issue, appeared when creating a self-signed certificate for vRA appliance, (yes, I was using a self-signed one), when I hit “Save Generated Certificate” button the process started but never finished with a loading message on the screen which never goes away. After 40 minutes I decided to close the browser and open again, when opened again the wizard jump me to the subsequent step, showing a green mark for the certificate step, allowing me to proceed. It was clear to me that the previous certificate step did not conclude successfully, so I went back and tried to create it again; like the first time, the process stuck with the loading message. This time I decided to reboot the appliance when it back up I could re-create the certificate (within seconds), and proceed with the installation step. After an entire day of attempts, troubleshooting and logs reading I gave up and started fresh on the next day. This time without enabling FQDN for RabittMQ before installation, Surprisingly, or not, this time installation was smooth from start to end. Don’t worry you can enable FQDN for RabittMQ after installation (pg 119). obs: forgive the screen shoots quality, I dit not realize I might need them until I did.